We help our customer to remove ophthalmic patient queues. By taking away routine screening tasks and therefore letting customer's personnel to concentrate on patients needing specialised care, Digifundus can help its customer to multiply ophthalmic clinic patient throughput. In practice this means that we produce integrated service packages where customer can either cherry-pick the services needed or - alternatively - let us handle the entire service chain. Quality is one of our core values and that is why quality control is built in to our processes. We follow ISO 9001:2015 and ISO 14001:2015 quality management standards, which are annually audited. This ensures that our patients and customers always receive high quality service. Two main application areas of our services are diabetic retinopathy and glaucoma. 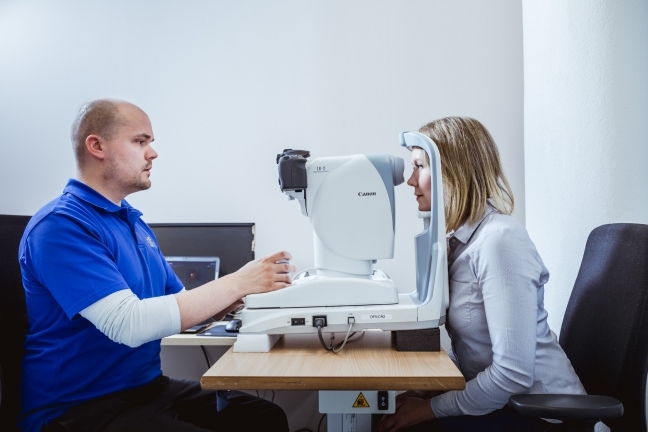 Our excellence in process and patient logistics knowledge, professional staff and years of experience can be applied to screening and monitoring of any eye disease. Usually we more than triple the patient throughput compared to processes in use. With us many of our customers have managed to remove their patient queues. Focus on taking care of the patients; we take care of the routines. We measure patient and customer satisfaction annually. Results have been simply fantastic, check out more from customer and patient satisfaction page. If you are interested to see some details of what we have done, click the menu on the side.